John 14-16 is like Jesus’ biography of the Holy Spirit. The Holy Spirit’s chief attribute is holiness, and it is crystal clear that Jesus’ aim is to get the Holy Spirit into His disciples. That includes us. In the previous post, I introduced the idea of HOW God makes us holy – of how we grow in holiness. Jesus not only wants to make us holy, He wants to get His holy self into us – indwelling us, abiding in us – and to get us abiding in Him, in His Holy self as well. In John 14-16, Jesus is speaking to His disciples – leaders He is mentoring and raising up to be full-time ministers in His Name – His closest friends and confidants – those who knew Him best and believed in Him the strongest. Jesus is also speaking to us – those whom He has also invited to get to know Him well, and to believe in Him strongly. Jesus calls His disciples (including us) into a mutual, reciprocal abiding: His Spirit in us and us in Him. Look: “The Holy Spirit” – holiness is part of His Name! And if Jesus is sending Him to live in us, then we will have the Holy Spirit – the Spirit of holiness – living in us! 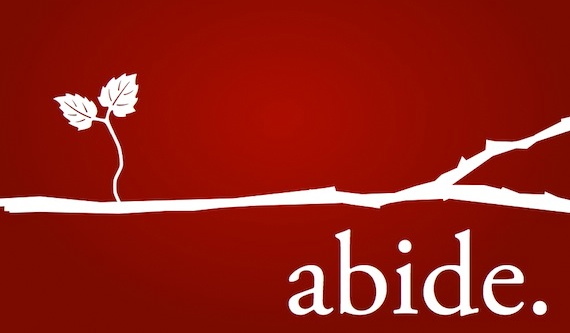 Abide in the Spirit, and the Spirit will abide in you. 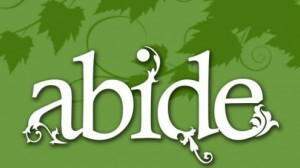 While Jesus was on earth with His disciples, the ONLY way they could “abide” with Him was to remain physically present with Him. And even then, they could only abide “with” Him, not “in” Him (nor He in them). But by leaving, by shedding the limiting shackles of human finitude, Jesus sends the Spirit, of one essence with God and Jesus, having all of God’s unique abilities, including His omnipresence. Now Jesus (His Spirit) could be with all of them, no matter how spread out they would become, and He would not just merely be with them, He would be in them! This is a massive upgrade! The disciples were distressed and couldn’t understand why He would be leaving them – but Jesus was preparing to disperse Himself throughout the entire world, through His disciples, by sending down the omnipresent Holy Spirit who would abide in every single disciple – complete worldwide permeation of the human race! In the next post, I will introduce a simple analogy of how we can begin to mutually abide in Christ’s Spirit (Him in us, us in Him) through the concept of “immersion”. ← How do we grow in holiness?